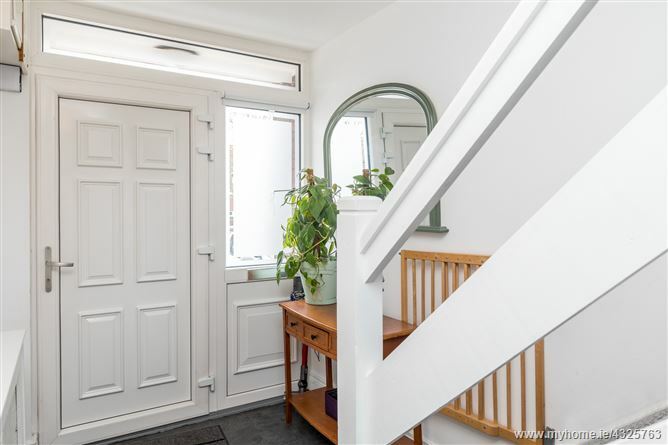 Quiet cul de sac location within town centre. 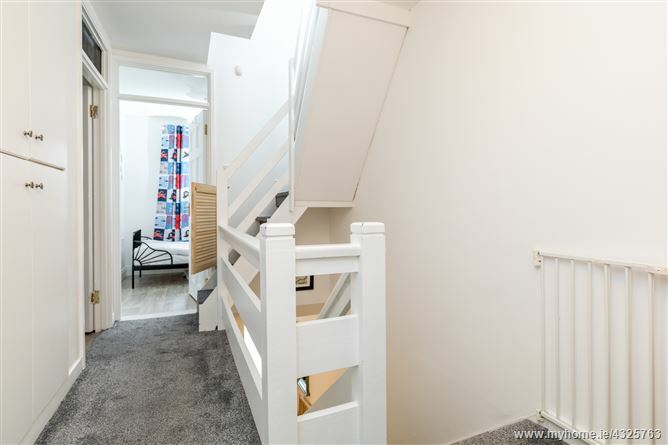 Meters from all amenities including shops, beach, train station, schools. 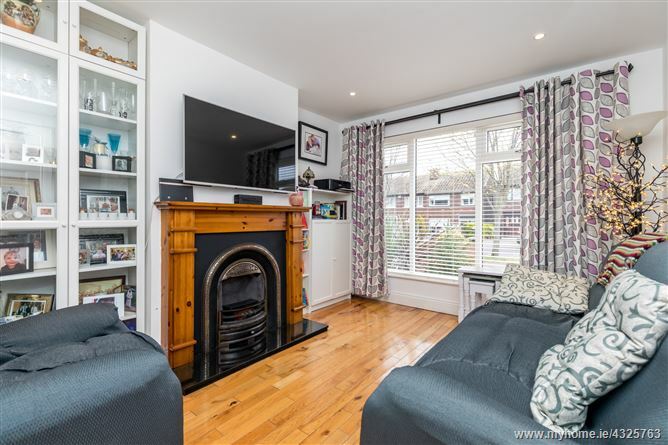 Fantastic opportunity to acquire this newly extended and recently renovated 3 bed family home with large attic conversion. 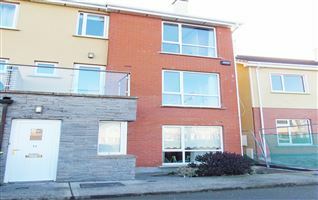 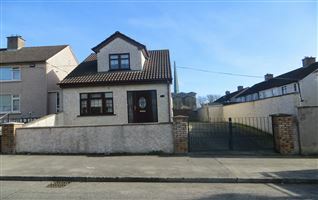 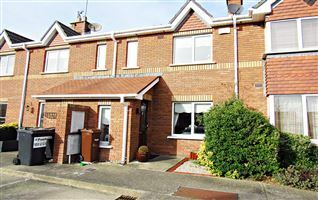 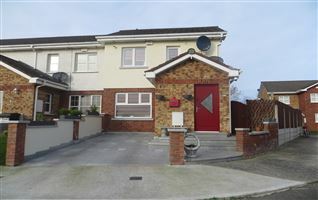 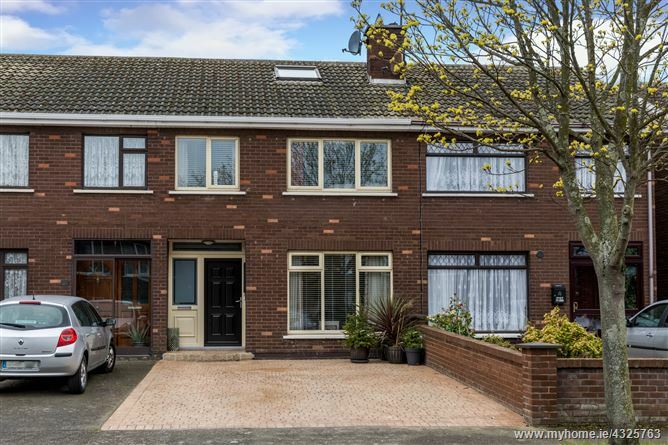 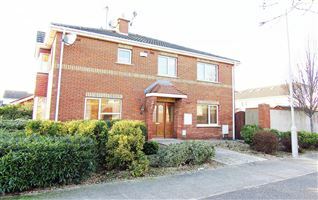 The property is located in this mature settled cul de sac development which is meters from the main street of Balbriggan. 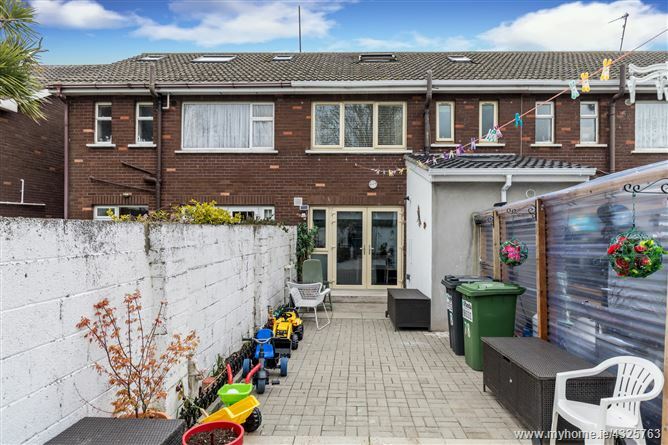 78 Bremore Drive has seen major renovations in recent times with the current owners upgrading virtually everything from the windows to the kitchen and bathrooms to the décor which makes this property a remarkable family home. 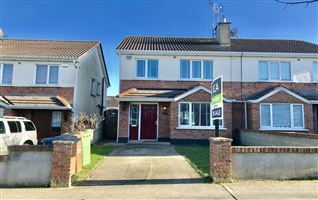 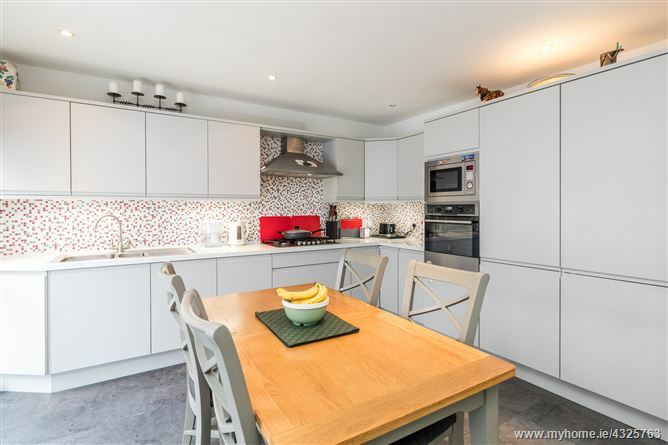 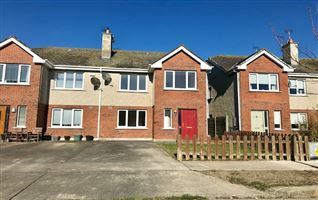 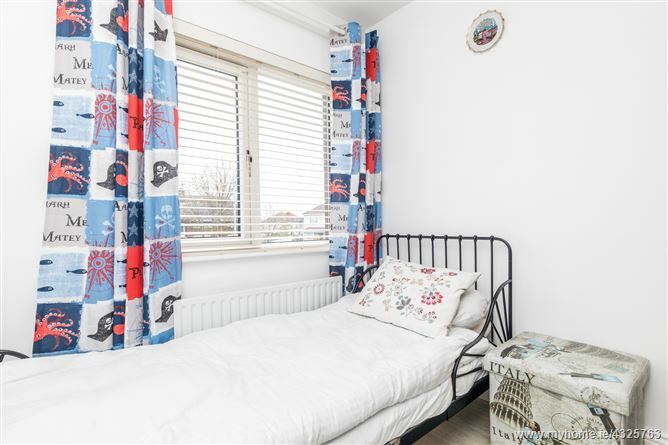 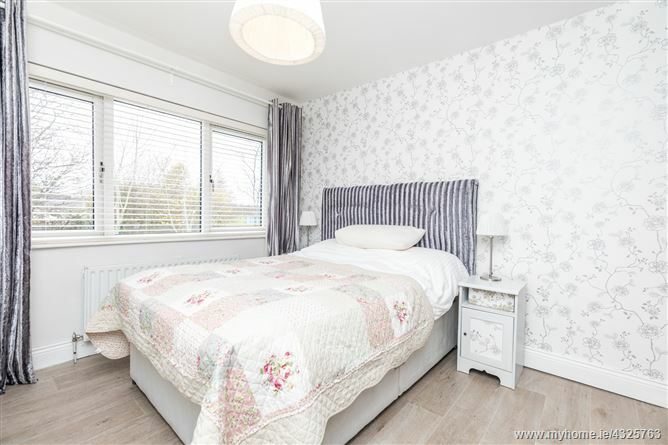 To the front there is a large driveway with ample off street parking and the rear garden has an excellent paved patio with rear gate to large green area. 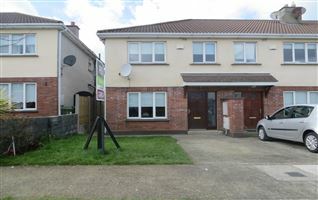 The property benefits from being situated in this small, much sought after development located in the heart of Balbriggan town centre with its host of local amenities: - which seem endless – walking distance to Balbriggan Golf Club, a rolling parkland 18 hole course set on 170 acres, close to the popular Canal Bank amenity parkland area accessed from Vauxhall Street, adjacent primary & secondary schools, restaurants and Bremore all-weather pitches, The Heritage centre of Bremore castle, numerous creches, c. 5 min walk to play park, 5 mins walk to super valu and Main Street. 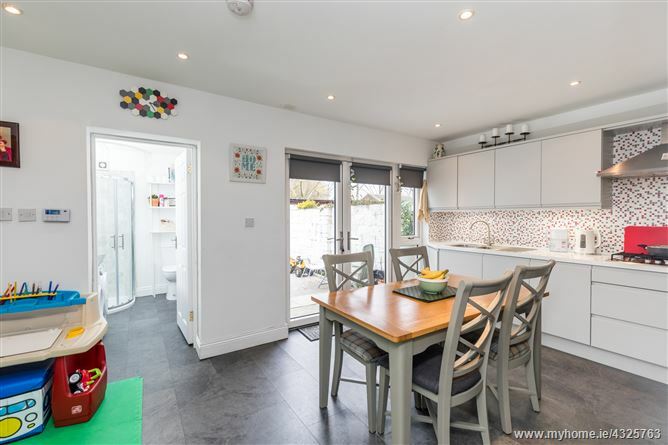 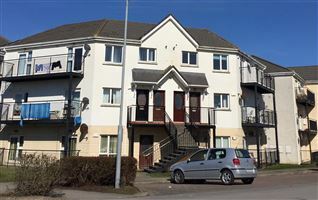 There are great transport links with regular Bus & Rail commuter services all within a c.10 minute walk and the M1 Motorway only a short distance west. 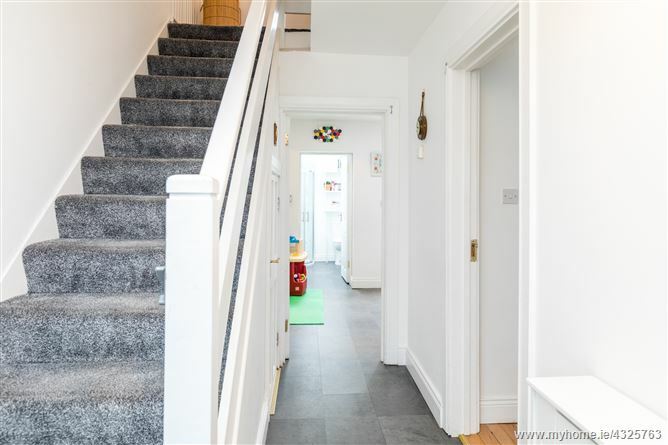 ENTRANCE HALL - with under-stairs storage. 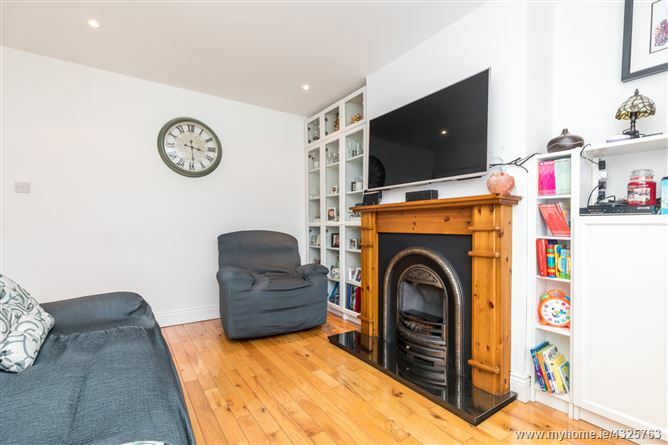 LIVINGROOM - (3.2m x 3.8m) with feature fireplace with hardwood surround, solid wood flooring, recessed lighting, TV point. 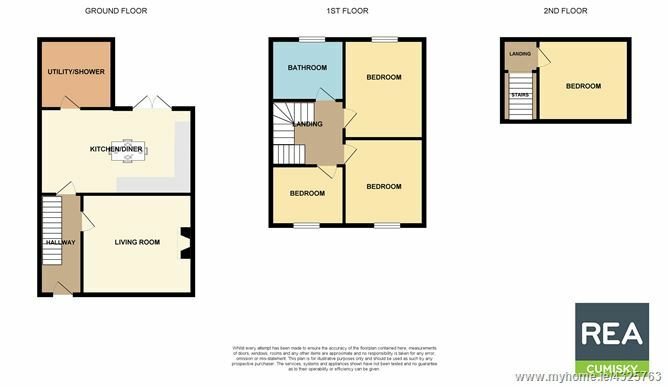 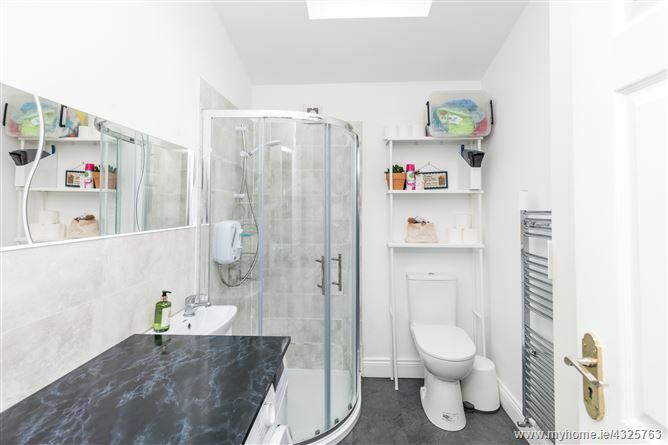 REAR EXTENSION - Shower room and Utility area (1.9m x 2.55m) plumbed for washing machine and dryer and counter top and WC & WHB, corner shower with electric shower and screen, heated towel rail. 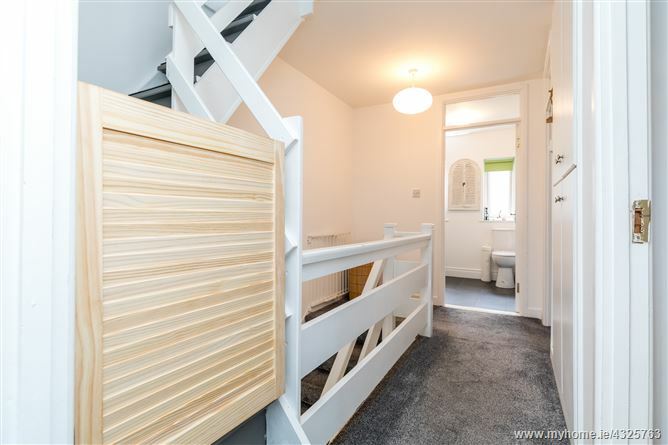 LANDING - with shelved hot-press. 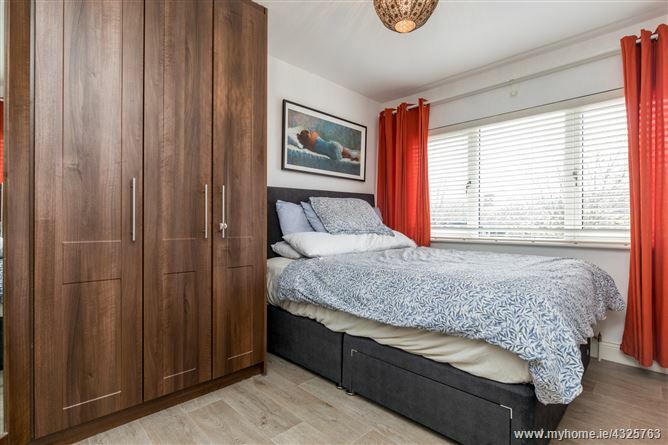 BEDROOM 2 - (3.55m x 2.8m) with vinyl flooring and built-in wardrobes. 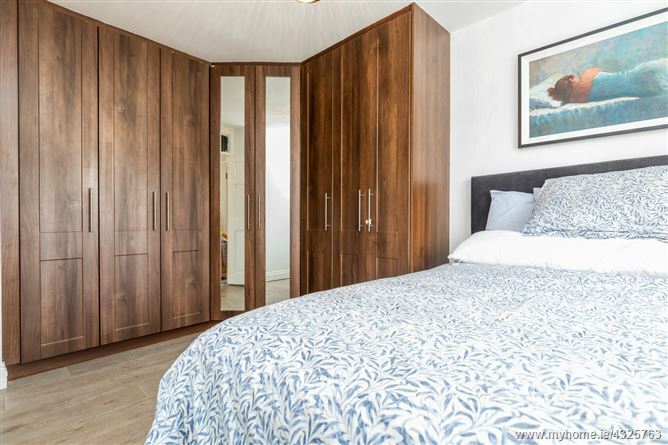 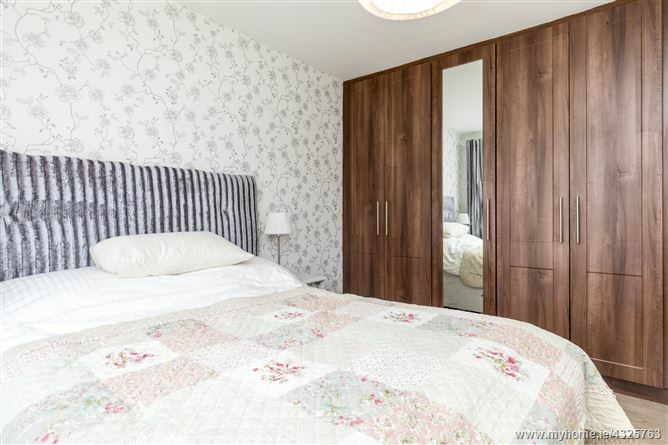 BEDROOM 3 - (2.35m x 2.3m) with vinyl flooring and built in wardrobes. 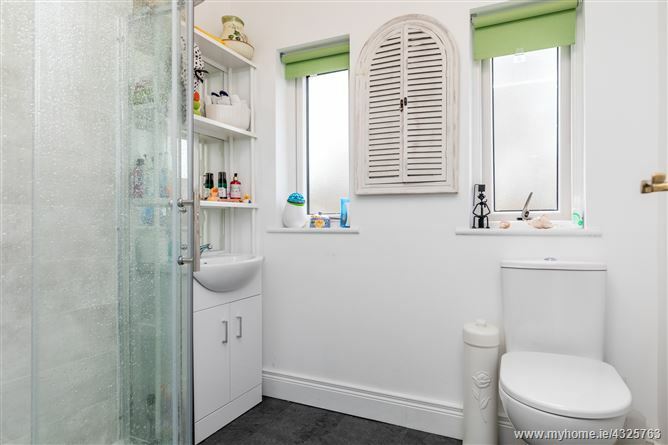 BATHROOM - Newly remodelled (2.1m x 1.8m) with wc, whb with vanity unit and mirror, shower cubicle with screen and electric shower, tiled around shower and tiled floor. 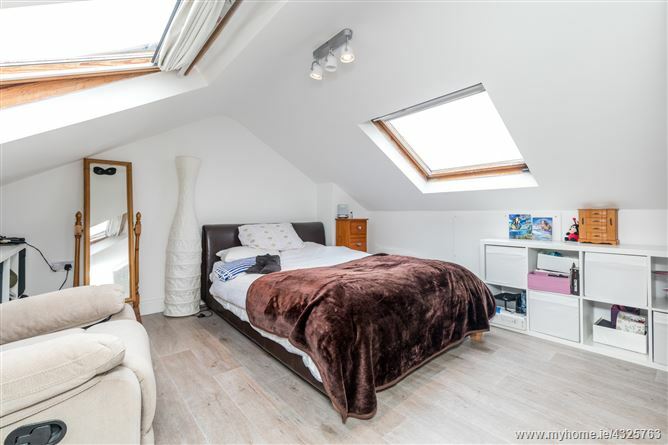 ATTIC ROOM - (4m x 4.1m) large attic room with velux windows, eave storage. 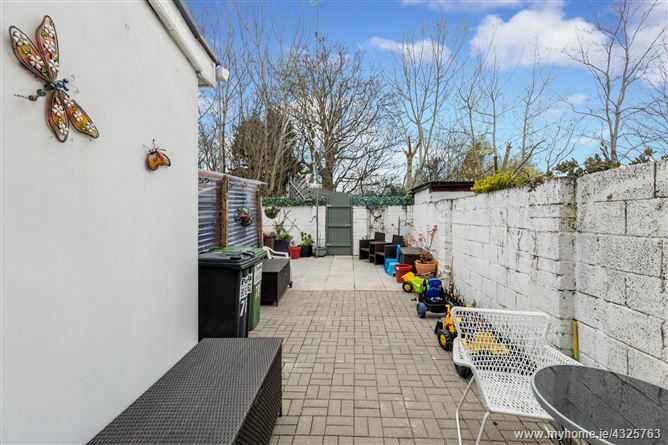 OUTSIDE - Wall enclosed rear garden, not overlooked, cobblelock and paved patios giving low maintenance, rear gate access to large green rear. 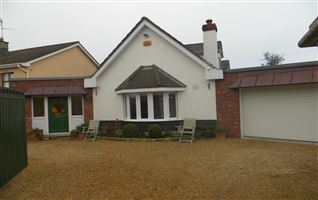 Front garden with large driveway.